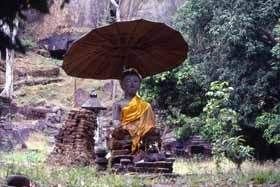 We do create itineraries for tailor made holidays in Laos or organize your cultural trip to Laos. Other options are adventure travel in Laos, hiking tours, luxury holidays or leisure vacations. Laos travel tips, a choice of destinations also combinable as tailor-made individual vacations in Laos. The classical trip through Northern Laos starts by crossing the mighty Mekong from Chiang Khong (Thailand) to Huay Xai on the Laotian side. Here you board a boat and cruise down the mighty Mekong in 2 days until Luang Prabang, taking in gorgeous jungle scenery at the river banks on the way. The rivers are the traditional trading routes in Laos and this is an excellent opportunity of experiencing the life on the river and it's banks. Luang Prabang, the old capital of the Lan Xiang kingdom, is definitely one of Asia's most enchanting and atmospheric places. Mountains overgrown with jungle, mellow and charming people, sleepy temples and a touch of French colonial style architecture complete this unforgettable experience. You might want to stay at least 3 days here to sample the easy life. Hidden in the forested mountains of Northern Laos, the region offers many options to participate in and enjoy rural life with some of the ethnic groups living here. You embark on a 4-5 days trip further north, first by car to the upper reaches of the Nam Oo river and then down river by various boats over several days finally arriving back at Luang Prabang. After a short rest in comfort at Luang Prabang you are off again to the mystical Plain of Yars in the remote North-East, and after exploring the sites move on to the packpacker paradise of Vang Vieng. Relaxing along the river, hiking through lime-cast mountain scenery or navigating the shallow river with a kayak. Leaving in the morning you reach Vientiane, the Laotian capital, in a few hour, and depart for Thailand the next morning. Outside of town you can spend a few days in one of the lovely resorts, even with an elephant camp near by, or embark on a hiking tour with guide and explore the region with the option of staying overnight in local villages. Plain of Jars: Enjoy an excursion into the mountainous Xieng Khuang Province in the remote North-East of Laos, and experience the mysterious Plain of Jars (3 days from Lunag Prabang to Vang Vieng). 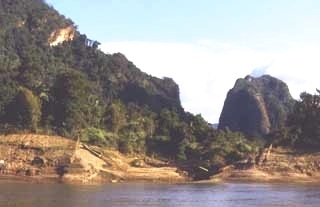 In the footsteps of Pathet Lao: A journey into the remote North-East to Sam Neua and Viengsay near the border with Vietnam, experiencing the cave system from where the Pathet Lao organized and waged their war and finally the overthrow of the old system in Laos. This trip can be combined with a few days cruising down the Nam Oo river and a visit to the plain of jars. Due to almost non-existant infrastructure this excursion is more on the adventerous side (8-12 days from Luang Prabang). The classical journey through the South of Laos starts by arriving at Vientiane, the Laotian capital. Vientiane has a few interesting sites, which are well worth visiting, but nobody really stays much longer here. From Vientiane you travel by private car to the spectacular Khammouanne Reserve Park east of Tha Keak. A boat ride through the long Thong Lor cave and once you reach the other side through the valley with lime-cast mountain formations on the idyllic Nam Hin Boun River is unforgettable. 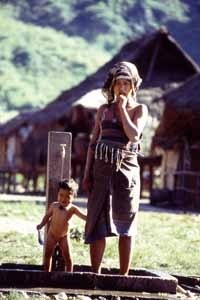 You will explore a few villages of different ethnic minorities and stay overnight at local houses in villages. On you way south you brake the journey in Savannaketh and reach on the next day the cool Bolaven Plateau, famed for stunning scenery and excellent coffee beans. Explore the scenery and some villages with a local guide. Travel on to the city of Pakse und visit the mystical Vat Phou high above the Mekong, which has been a sacred place long before the Khmer invaded these lands. Towards the end of your trip wind down for a few days on the peaceful islands in the Mekong river near the border to Cambodia, before you travel back to Pakse and depart from there. Transport by boats is available on almost all of Laos' waterways. Luxurious boats are available on the stretch between Huay Xai and Luang Prabang (2 days/1 night) and in the south from Pakse to 4000 islands, which takes 3 days and 2 nights. The ships in the south have cabins for the nights. All boats have excellent cuisine and good service. Traveling with a guide gives you 2 options: S guide accompanying you for the whole trip from arrival in Laos until departure, or you have different stationary guides at each region. Another option would be to book accommodation and transfers only, but in general a local guide is recommended, especially on over-land trips. We joyfully also work on inquiries for tours or routes which are not mentioned here. This page has been created to give a general overview and enable you to see some possible options.